I've been a landlubber for a while, but want to join VOR 2014 again. I remember full config files were available for races. Can someone point out the VOR 2014 config file? Add regatta marks: start line, finish and intermediary waypoints. which go better with VRTool weather routing. and save the polar database. Put all VPP files in a folder. >Import multiple VPP files.- Press Shift-A and select all vpps. Click Ok.
> Manually adjust the sail icon for each sail. Also adjust the sail names. but old CSV files are also ok.
Go back to the main window, select the new polars file. Click load. 3) Winds can be downloaded from the source: GFS. in both panels. Getting the winds right is tricky. the correct URL to get access to your boat data. Copy-Paste that URL to the GetUser field, in the Boat tab. Set automatic updates every 10 min and update friends too. 5) Save the desktop to a new file called "VOR14-leg1.nav". 1/ I have a map. that was easy. 2/ I have the standard polars; easy too. 3/ I have wind. Used the NOAA button in the toolbar and chose download. Difficult to interprete which command delivers boat data. Which path to use I cannot decide ..
Do you have a clue to find my boat ? - Open VORG page and do your login. Game will load. - HttpFox will display one line, with the URL to the right. what's wrong ??? do you have an idea ???? That was a clear explanation! Starting with my lack of ability to run the VRTool and invested the last couple of hours on a failed attempt! Crossed over YouTube tutorials, browse over the forum. Simply can't get data (e.g. message: servidor de regata não identificado). The software is in Portuguese and reference to the one available on the tutorial which is in english. Coudl you point out a few links where I could download VRT in english and on a few steps out to set it going? I have used previous version during the last VOR and, so far I can remember it was pretty easy, now I cannot even start it!!! I would like to use this tool very much. Invested the last couple of hours, and confess my lack of ability to run the VR Toll. I used it on the last VRTool and it was, so far I can remember, very simple. Now I get a message for a start "servidor de regata não especificado"! It would be easy if the software would run in English, not in Portuguese. I saw it in English on the You tube tutorials, but just can't find it anywhere. To be honest, it would be possible to guide me with a link with steps to follow in running the VRTool? PS:Not my day! Second attempt to post, the previous just vanished!!! setup with that language. Primary VRTool language is english. There are french and portuguese translations included in the installation. shortcut in your desktop to run it. your boat data URL in the Virtual Regatta's server. 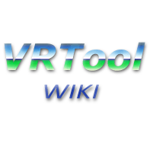 See VRTool Wiki on how to get boat data. VRToutoulz server has been out of reach for some time. It is a partner website, but not controlled by me. We hope it comes back soon. Setting up VRTool is not simple I'm afraid. and boat data to make it work. Most Youtube videos about the program are obsolete at this time. the first couple posts were subject to admin approval. Sorry about that. Is the price to pay to avoid spammers. My computer settings are in Portuguese but so used, as a user, to EN! Appreciated your detailed explanation, but I guess the use of VRtool will be for the 3rd Leg. There are a few fundamentals for me which are the weather routing and easy access to VMC calculation. It is also important to have the chance to set more than one possibility (route) and assess the risk of a fast track (get there asap) vs a more conservative/direct route. Bons ventos e obrigado | Cheers!